GATES 180° thermostat kit for '98.5-'09 and '13-'18 Dodge Cummins Turbo Diesel trucks equipped with the 5.9L or 6.7L engine. 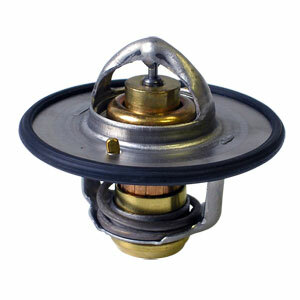 NOTE: For '13-'18 trucks, this is an alternate temperature thermostat. OEM themostat is 190° (#33915). installs exactly as you'd expect. i've yet to see temps get over 185-187 since install. we're not in proper summer "OMG it's hot" weather yet, but i'm not anticipating problems. longevity remains to be seen but for the price you'd be hard-pressed to beat this thing with a stick.